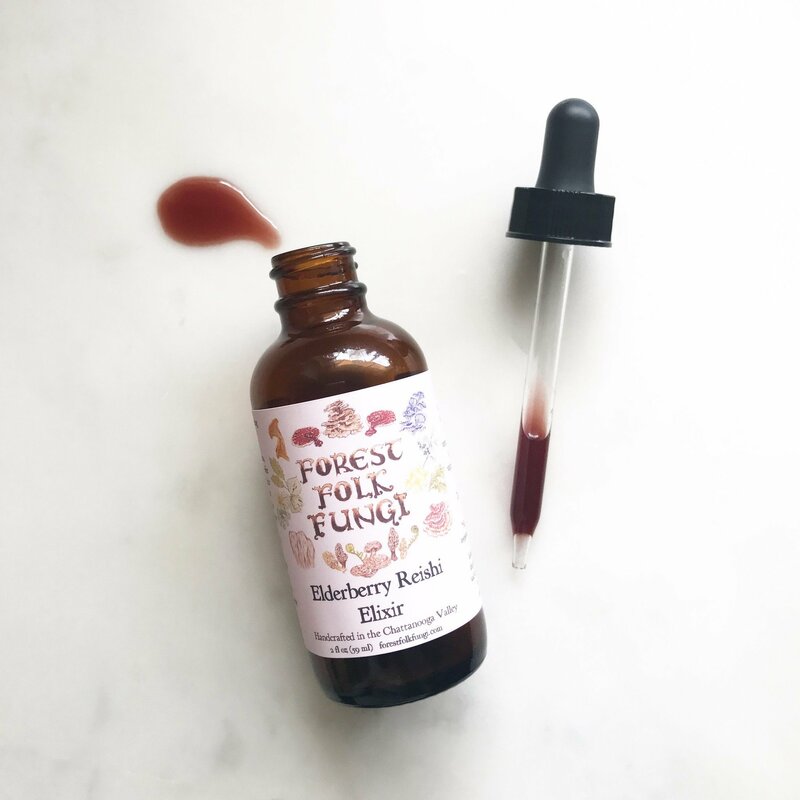 If you think you might be getting a cold and decide to visit the forest home of the wise and kindly Gnome and Gnomestress, there's a good chance they'll offer you a taste of this ruby red elixir from their itty-bitty enchanted wooden spoon. Pairing elderberry and reishi mushroom with warmth-giving ginger and cinnamon, this tasty elixir may help prevent and fight colds and flus. How smart of you to have this wildly potent forest floor remedy right in your cupboard!